For all your manufacturing service needs! companies in their production of finished goods. We use the latest technology and equipment to provide our customers the highest quality smd tape and reel services We also specialize in other packaging processes, and component preparation, servicing everyone from small business, to the largest corporations. Please allow us to assist you with your special manufacturing needs. 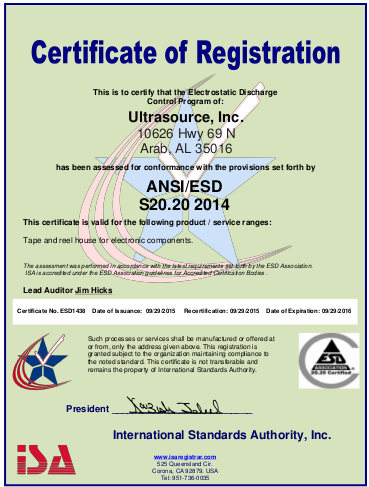 We are ANSI/ESD S20.20 2014 certified.